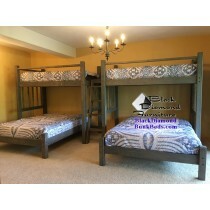 We make plenty of custom bunk beds for homes all through the United States. 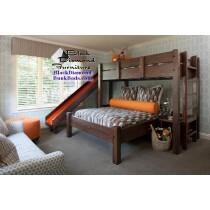 We deliver custom bunk beds around the country. 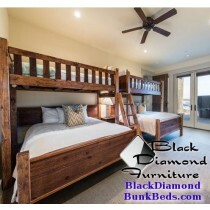 If you have an idea for a custom bunk bed, we would like to hear from you! 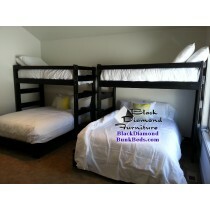 Take a look at our bunk beds! 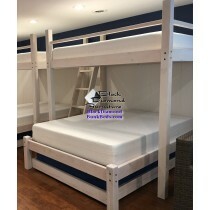 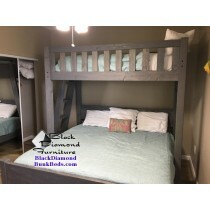 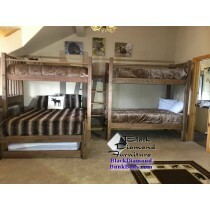 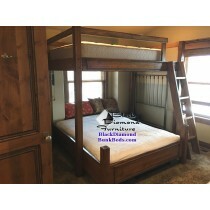 Many of the bunk beds you see will come in various sizes, such as Queen over Queen, Twin over Queen, Full over King, King over King and any configuration you can think of! 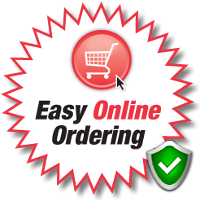 Ordering is easy and most people receive their beds within 8 weeks!